"The Bob & Tom Show"
Six months ago, Tom Griswold got a voicemail from someone saying he wanted to put “The Bob & Tom Show” on TV. But the caller from WGN America wasn’t kidding. The Chicago-based cable station soon reached out again. By August, the deal was done and beginning Monday, the morning radio show that has been an Indianapolis staple for more than 25 years (and in national syndication since 1995) will be a national television program. The show will air at 11 p.m. Monday-Friday on WTTV (Channel 4) and an hour later on WGN America, putting the televised version of the radio program into more than 70 million homes during late night on the East Coast and prime time in the West. Essentially, TV viewers will see a portion of that morning’s radio show. The studio has been outfitted with six cylindrical, gray, unobtrusive robotic cameras — “They look like coffee percolators,” Griswold said — that will capture the interviews with visiting comics, musical performances and discussions among the Bob & Tom crew. The best hour will make it into the broadcast. 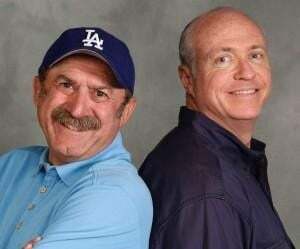 For Bob Kevoian, Tom Griswold, Chick McGee and Kristi Lee, plus producer Dean Metcalf, having a TV show will potentially expand their audience, which already is a healthy 5 million listeners on 150 radio stations nationwide. It also will undoubtedly give them greater access to top guests. “This will make it even easier for us to get major people to come in the studio,” Griswold said. WGN America, meanwhile, gets a show with a built-in fan base. “It’s a perfect complement to both of our needs,” said Sean Compton, executive vice president of programming and entertainment for Tribune Broadcasting, which owns WGN America and Indianapolis’ WTTV and WXIN (Channel 59). Compton was the one who wanted “The Bob & Tom Show” on WGN America. He grew up in Connersville, where he’d drive to high school in the late 1980s and see Bob & Tom front license plates on car after car. Kids would put extended antennas on their vehicles, too, just to be able to hear the show. When he started at Tribune Broadcasting on March 31, after 16 years with Clear Channel radio, Compton pitched the idea of “The Bob & Tom Show” on television. Some time ago, he said, they’d actually toyed with the idea of putting cameras in the studio and feeding the show live to a cable channel, as Don Imus had done with his radio show. Then the WGN deal came along. Compton said he’s shooting for a half a ratings point in the 18-to-49 demographic — about 550,000 viewers — from the national broadcast and about a 3 rating (60,000 households) in Indianapolis.